I first became aware of John Maxwell when I was in high school. I happened to be at a student leadership conference hearing from one of the vice presidents of Chick-Fil-A and he challenged us to read a particular book by Maxwell and promised that if we did, we could email him and he would reward us with $100. I read the book cover to cover, e-mailed the man, and was sent a one hundred dollar bill in the mail. God bless Chick-Fil-A! 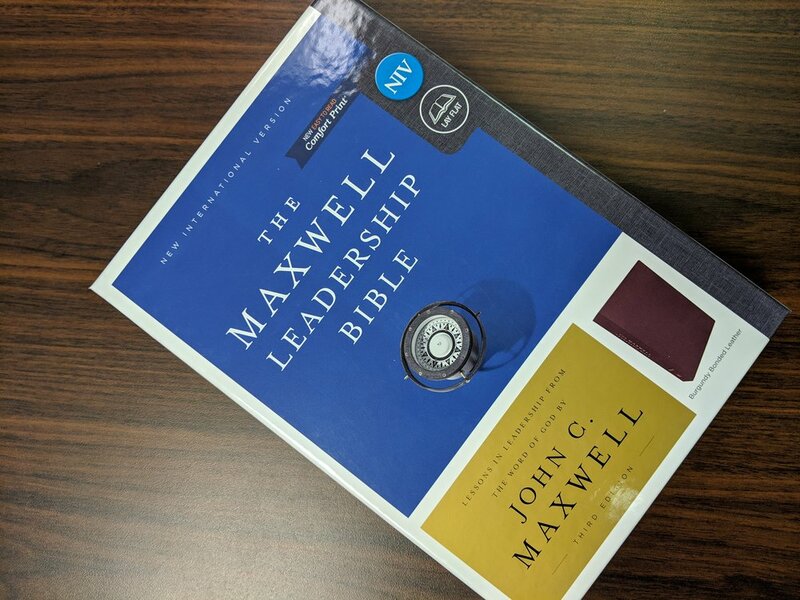 I learned of John Maxwell through a promised reward, but long after that $100 is gone, I am still benefiting from Maxwell’s leadership training. 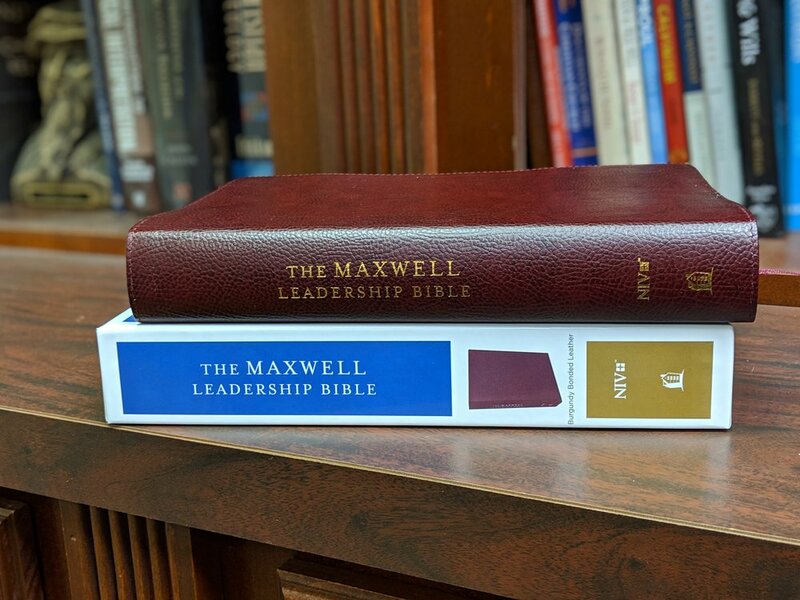 Thomas Nelson Publishers has released The Maxwell Leadership Bible. 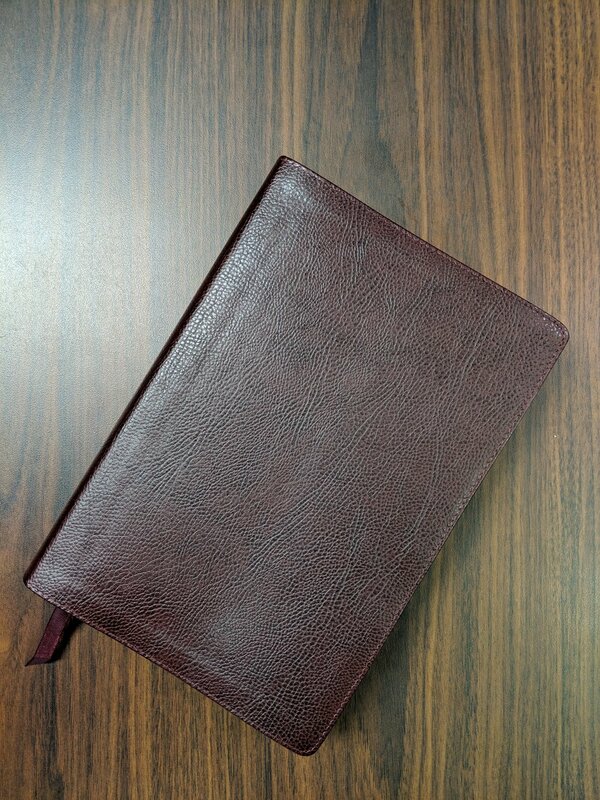 This is the New International Version and the copy I am reviewing is a bonded leather in burgundy. This is an attractive looking Bible and it comes with a very nice box to protect it. The leather is nice and soft and there is writing on the spine in a shiny gold. The 21 Irrefutable Laws of Leadership: in-depth articles that reveal these laws as seen in the lives of Bible people. The 21 Indispensable Qualities of a Leader: insightful articles showing positive and negative examples of these qualities. Over 100 biographical profiles: times and events in people’s lives that reveal God’s truth about leadership. 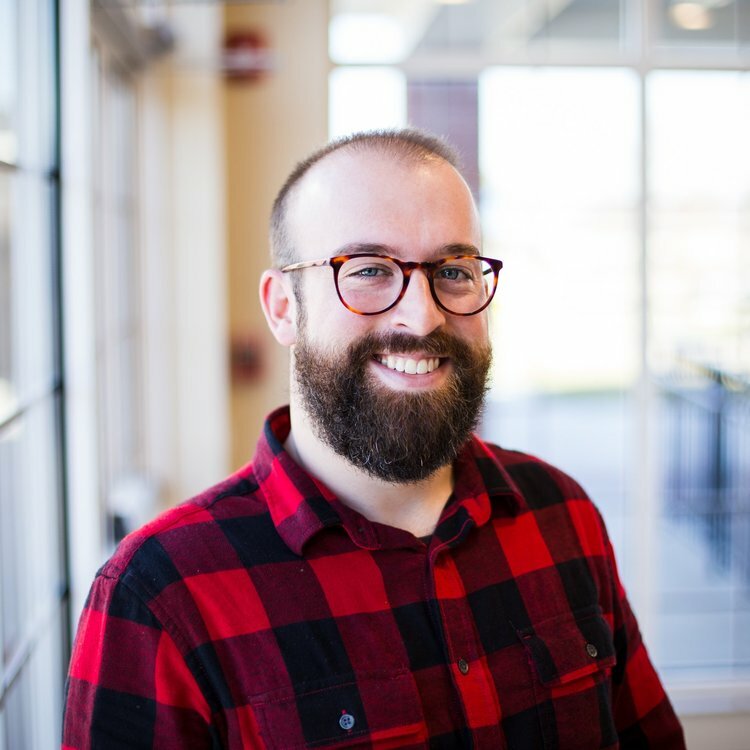 Introductions to the books of the Bible outlining God’s role in the lives of influential men and women. Hundreds of compelling short articles and expressive “read-as-you-go” notes on mentoring and influence. 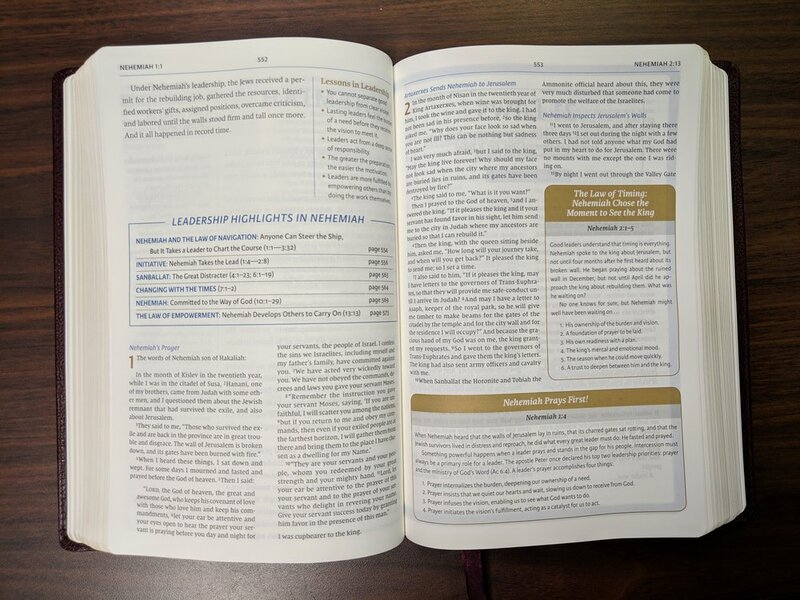 Thorough topical indexes for quick access to Scripture passages and articles addressing leadership issues. 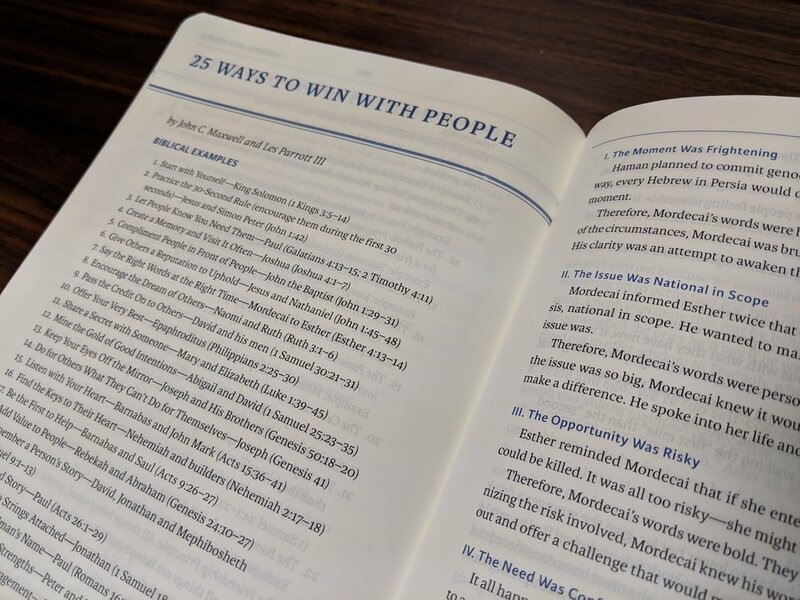 All of these features alone make this Bible worth the price of admission if you’re interested in leadership—and you should be—everyone is a leader whether that be through parenting, coaching, your job, on your team, or somewhere else. We all could learn to be better leaders. That is why this Bible interested me so much; I know I can and should be a better leader. Now let’s talk about some of the finer details. The publisher has done a great job with these pages! As you can see from pictures, They are attractive. The blue passage summaries paired with the gold chapter numbers is visually pleasing. Not only that, but Thomas Nelson has developed their very own font called “comfort print” that is easy on the eyes and visually pleasing to read. Pair that with a generous 10-point print size and you’ve got a Bible that’s very easy on the eyes when it comes to reading. 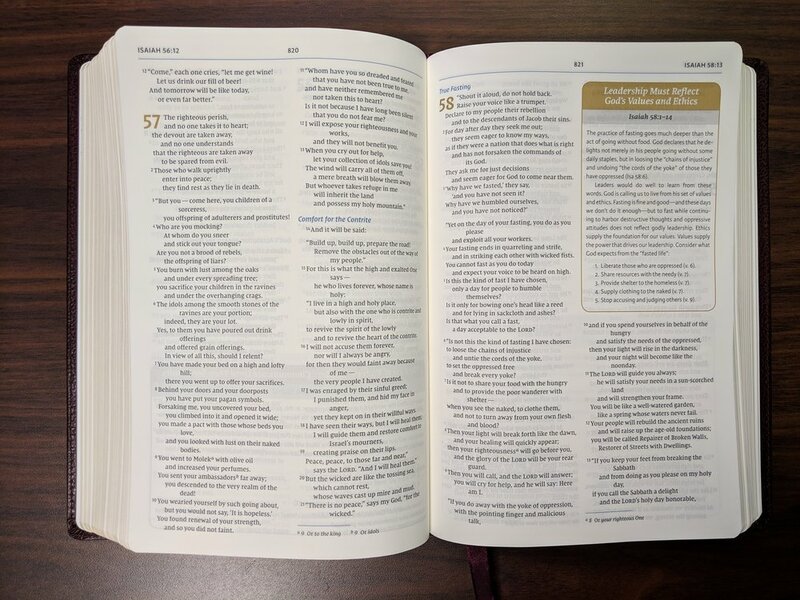 You won’t find the words of Christ in red in this Bible if that happens to be your preference (it isn’t mine so I’m glad that this feature was omitted). The page color used is a very true white. It really makes the blue accents pop when you first notice it. I especially appreciate the page thickness. 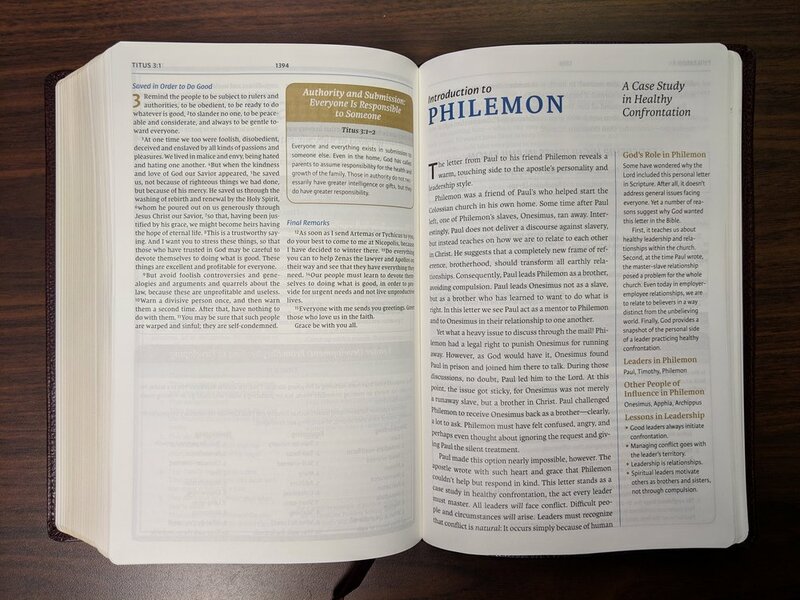 Study Bibles are thick anyway, but Thomas Nelson has chosen a page thickness which allows for very little ghosting meaning that you don’t notice much of the font on the opposite side of the page. This is important because ghosting can be very distracting when you’re trying to meditate and focus on God’s Word. The Bible isn’t overly thick or heavy, but it’s still probably a Bible you’re going to use as a study resource rather than one you carry wherever you go. As stated earlier, this is the New International Version. The NIV is not my go to translation, but it is very readable and I realize many use the NIV as their preferred translation. Like I said, you’re getting this Bible more for it’s notes so don’t let version deter you. It includes one ribbon built in bookmark and overall is a very attractive Bible. Everyone is a leader. Everyone can be a better leader. I believe the best leadership lessons come from the Word of God. 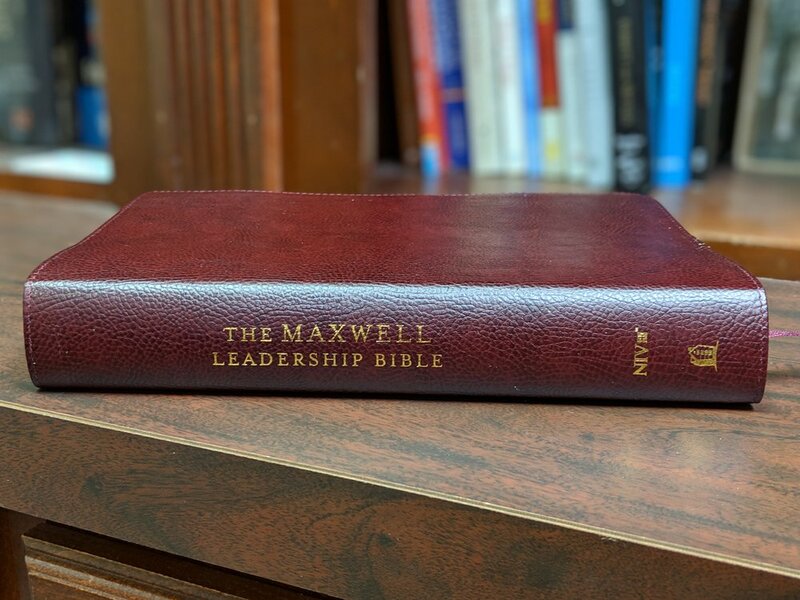 In my opinion, that makes The Maxwell Leadership Bible a very attractive resource. Disclaimer: I was provided a free copy of this Bible by BookLook Bloggers in exchange for a fair and honest review.